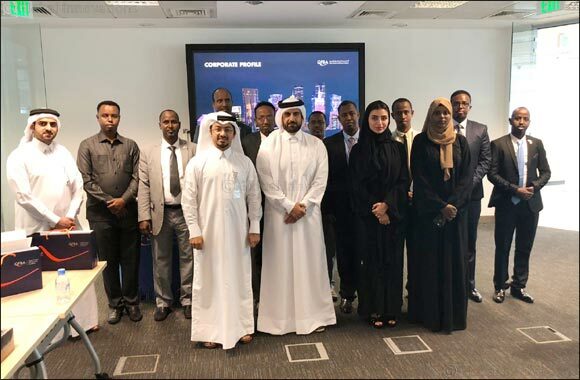 DOHA, Qatar – 12 January 2019: The Qatar Finance and Business Academy (QFBA), recently hosted a high-level diplomatic delegation from Somalia. Organized in coordination with Ministry of the Foreign affairs, the 12-memberdelegation visited Qatar to learn more about Qatar Financial Centre (QFC) and its subsidiaries. “Qatar boasts one of the strongest and fastest growing economies in the MENA region, and the Qatar Financial Centre’s (QFC) unique platform continues to facilitate ease in business set-up for entities wishing to expand to Qatar and beyond. The QFC operates in line with international best practice and standards offering word class regulation, a fair and transparent tax regime and an English common law framework. The value of our unbeatable framework is recognized by regulated financial services institutions worldwide.